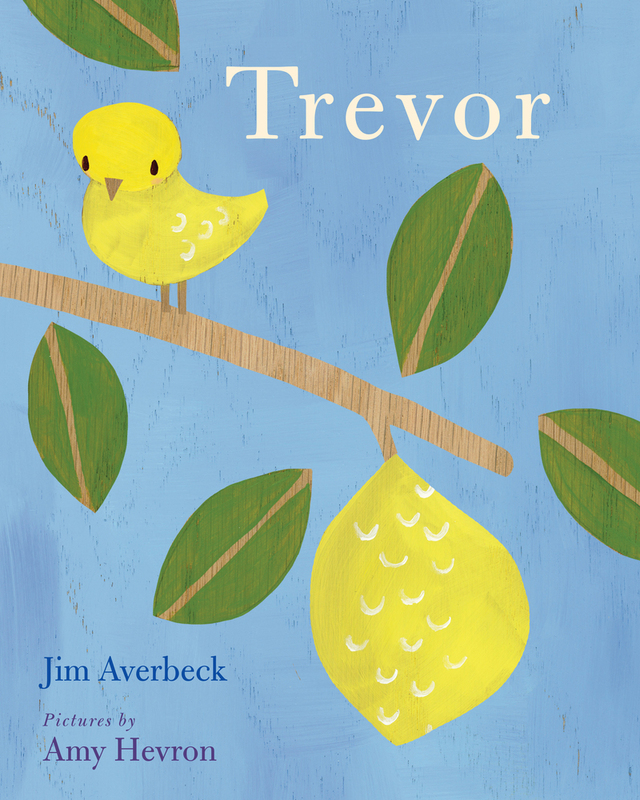 Trevor is a lonely yellow canary looking for a friend. He stretches his wings the width of his boring cage and notices the tree outside stretching its branch. And on the end of that branch? Another canary! But he’s so shy and quiet. Trevor knows just how to make him feel comfortable. 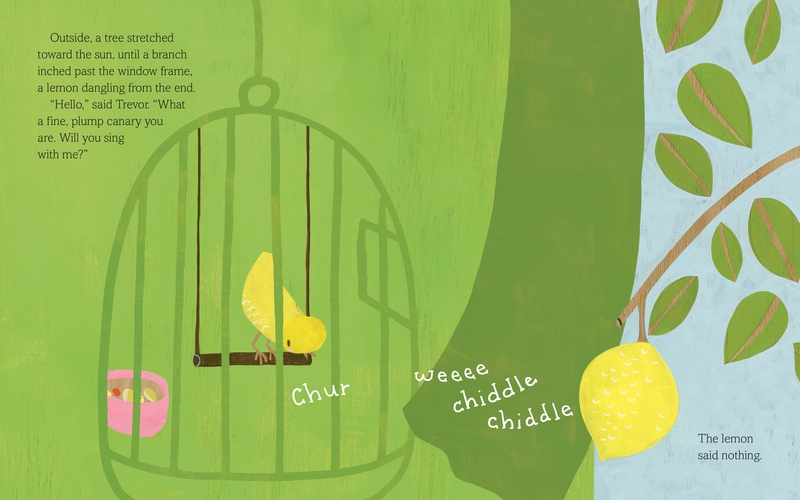 This is an elegantly told, truly unique tale by author Jim Averbeck and illustrator Amy Hevron, of a canary who befriends a lemon and finds that you don’t have to be two of a kind to form a meaningful and lasting friendship. Jim Averbeck is the author of many books for young readers. 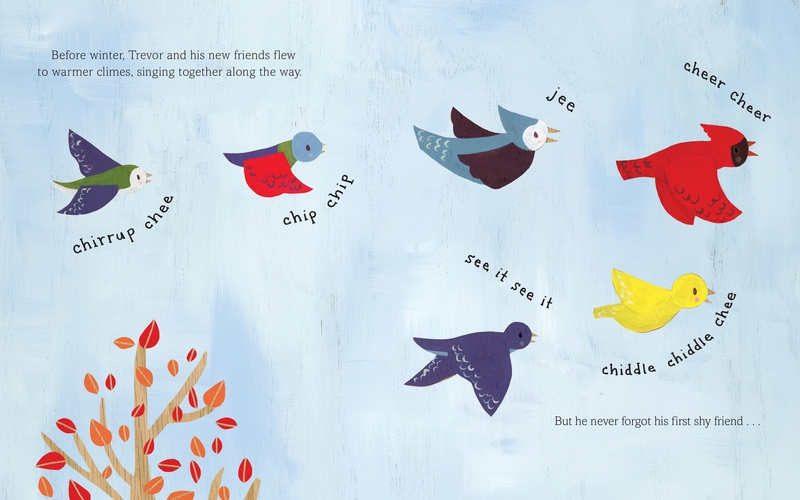 His first book, In a Blue Room, was a Charlotte Zolotow Honor book. His other books include Except If; Oh No, Little Dragon; The Market Bowl; and his middle-grade novel A Hitch at the Fairmont. One Word From Sophia, was an IndyNext Top 10 for Summer 2015. 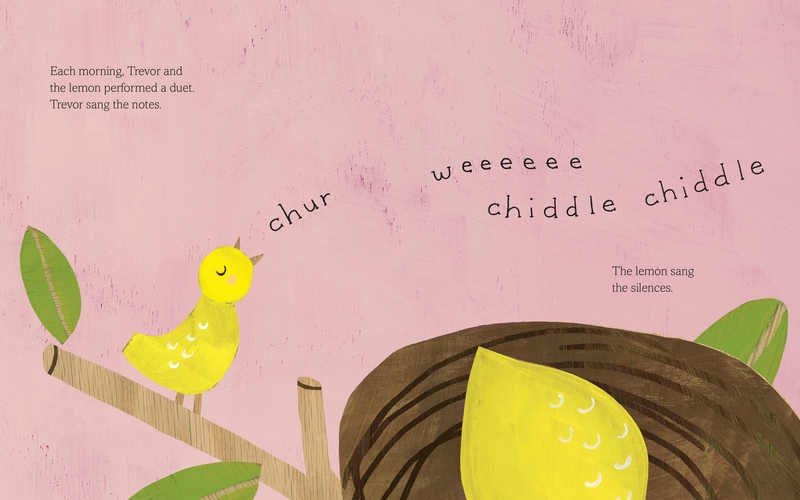 Amy Hevron is an illustrator, designer and children’s book author. 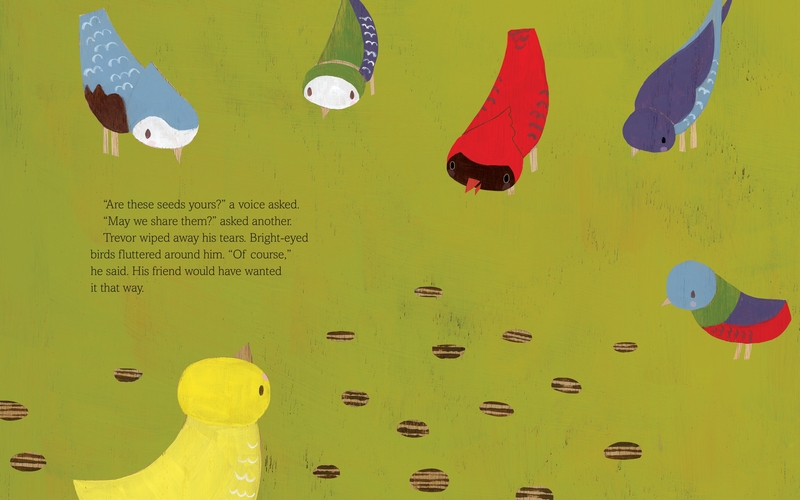 In both 2015 and 2016, she received the Portfolio Honor Award from the Society of Children's Book Writers and Illustrators. Amy draws inspiration from wildlife, nature, and travel. She lives in Seattle, Washington.